Hi Everyone! Its time for a new monthly challenge over at Jaded Blossom!! This months challenge theme is "Favorite Stamp Set"! 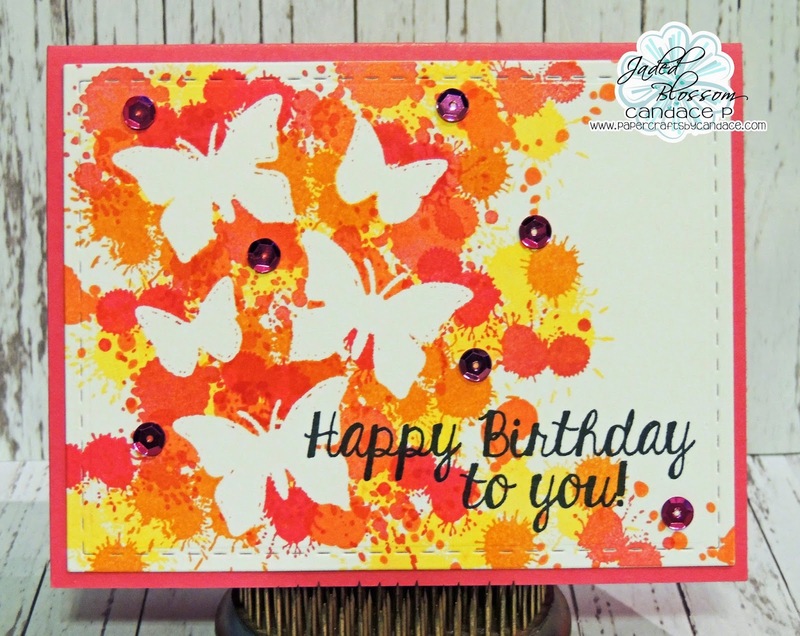 So bust out your Jaded Blossom stamps and search for your favorite out of the whole bunch and use that on a project! Easy peasy right? My favorite stamp set is Paint Splatters! Here is what I created using them.. 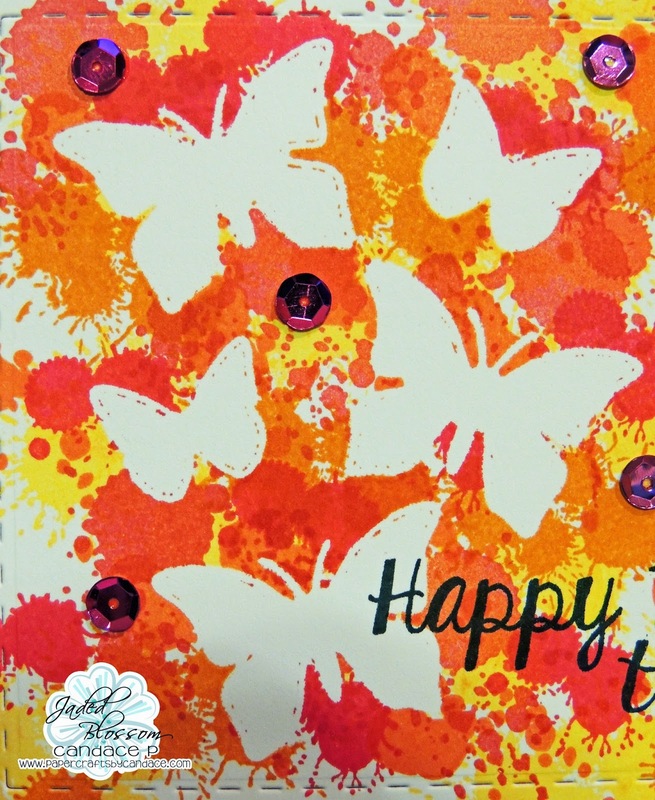 I cut out butterflies from the Spring Dies 2 and put them on my white cardstock that I cut out using the Card Mat dies. I also used Supersized Birthday Greetings for the sentiment. I then started stamping the paint splatters around the butterflies so that when i was done I would remove the paper butterflies and be left with a white space where they were. Thanks so much for checking out my project! Make sure to head over to Jaded Blossom to see what the rest of the team created! WOW! Your card is just beautiful! This is so beautiful. Great ideas and colors! I love the pretty background you created! Great card! very pretty how you made this !!! tooo cool ! I love paint splatters too!! This is beautiful!